Renovating? Yeah, you and everybody else. If you have neighbors that have a dumpster parked in their driveway, collecting trash and debris from a home renovation project, you’re not the only one. Home-improvement spending is on the rise, continuing a trend that began near the end of 2015. Analysts predict it will keep climbing through 2017, which could mark a return to pre-recession spending levels, adjusted for inflation. The prediction comes from the Leading Indicator of Remodeling Activity, a short-term look at home-improvement such spending produced each quarter by the Harvard Joint Center for Housing Studies. The LIRA, released on Oct. 20, tracks spending in four-quarter increments to adjust for seasonal fluctuations in renovation work, and also predicts future market trends. “[Each four-quarter estimation] is adding up the amount of spending in that quarter plus the three prior quarters, so we’re covering the seasons in one go,” said Abbe Will, a research analyst at the Joint Center. For example, the fourth-quarter estimation for 2015 — which totaled renovation spending data for the entire calendar year — was $285.5 billion. The fourth-quarter prediction for the 2016 calendar year is $304.9 billion. In one year, the predicted home-improvement spending level is expected to increase by roughly 6.8 percent, also known as the rate of change. “It’s how much that spending increased in that year, compared to the prior year — the prior four quarters,” Will said. The rate of change is predicted to peak with 2017’s second-quarter estimate at 8.3 percent. That would be an increase from 2016’s second-quarter estimate of $297.2 billion to $322.1 billion. Yes, owners really do spend that much on their homes. The rate is expected to fall to 7.5 percent after 2017’s third quarter, but that does not mean the estimated amount spent on renovations will decrease as well — that percentage would still represent a jump from $303.7 billion after 2016’s third quarter to to $326.5 billion a year later. Instead, the spending estimations will just increase on a slower scale. “If we meet those numbers, we should have a fully recovered market back to the level of spending we saw during the boom years, back in 2006, in inflation-adjusted terms,” Will said. One reason for the growth in spending could be a renewed sense of confidence among homeowners. While the housing market isn’t growing as rapidly as the remodeling market — the former was also hit harder during the recession — Will said homeowners are taking note of its ongoing recovery. The popularity of television shows like HGTV’s “Fixer Upper” doesn’t hurt, either. 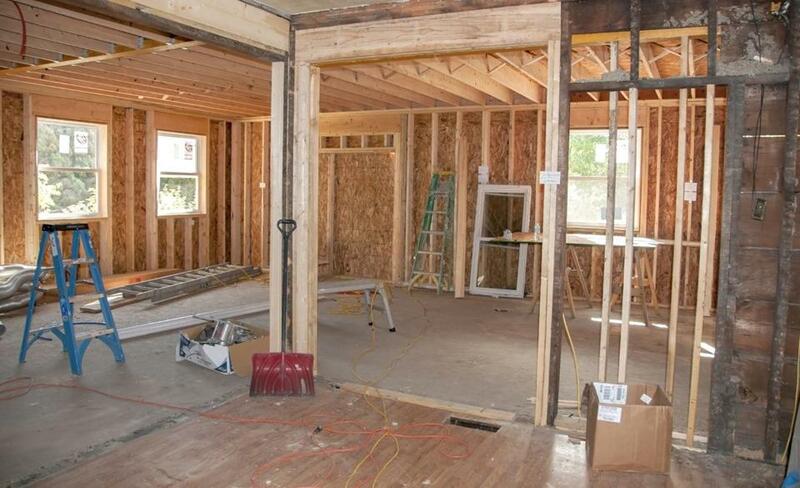 Middle-age homeowners are the key segment for the remodeling market. They often hope to remain in their home for as long as possible, Will said, and therefore take on renovation projects more frequently. The rise in home renovation hasn’t been observed among younger people largely because they are putting off homeownership, Will said. Millennials are staying with their parents longer than previous generations after being hit hard by the recession, including a weak job market and low wages.